We’ve all heard it: Abs are made in the kitchen. And it couldn’t be more true! Below are a few foods with fat-burning properties to help you with this dreaded task of weight loss. Just remember: no one food alone can do the job. You need to have a plan and a purpose. Make sure you are eating the proper amount of calories for your body and exercising regularly as well! 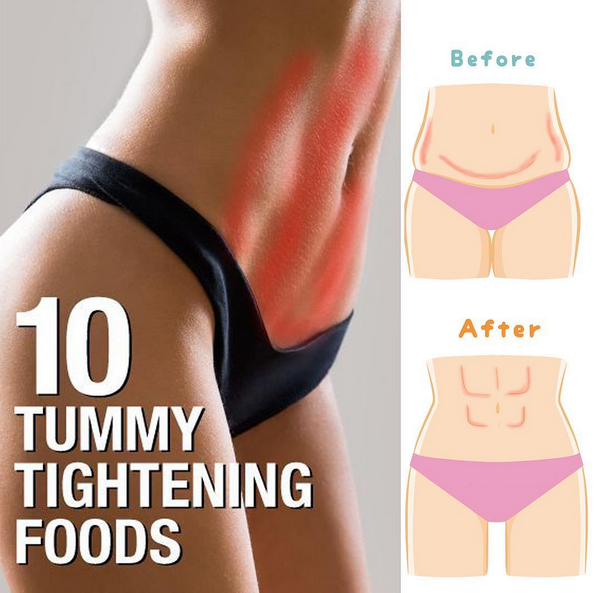 Here are a few tummy-tightening foods to help get you on the right track to a slimmer summer. Oats with Cinnamon: Oats are a great start to your day. They will help keep you full while the cinnamon has natural thermionic properties, increasing your metabolism. Grapefruit: Grapefruit helps lower insulin levels, which promotes weight loss and a fast metabolism. Red Peppers: Peppers contain capsaicin to help you to burn that stubborn fat. Almonds: Almonds are a great source of protein to help keep you full and your metabolism kicking. Salmon: Salmon is loaded with omega-3 fatty acids, which is beneficial for fat loss. Avocado: While avocados are considered a fat, they are a healthy fat, which your body needs to use as energy! Blueberries: Blueberries are loaded with antioxidants, and they are also low in sugar and great for a healthy, low calorie snack! Green Tea: Natural caffeine can help speed up your metabolism and keep you energized to burn more calories throughout the day. Plus, green tea contains antioxidants to help rid your body of toxins. Chicken: Chicken is a great source of lean protein. By placing more protein in your diet, you can lower the amount of carbohydrates you take in while promoting weight loss. Sweet Potato: Sweet potatoes are great for keeping your blood sugar levels stable while promoting a better, faster metabolism.